Trying to lose weight? This simple switch may do the trick! It all starts with your weapon of choice. Think of the last time you ate with a spoon. Maybe you indulged in pumpkin pie, scooping up decadent gobs of the festive, fatty dessert until you were stuffed. Or perhaps you carb-loaded on Grandma’s fruit cake, mindlessly spooning rich slabs of the dense treat to your lips, forgetting about your hips. Admit it: you pigged out and now you are beating yourself up for it. Time to take action. Pick up a fork. Believe it or not, eating with a fork instead of a spoon can help you shed pounds—and help keep you from packing them on. That is according to the results of a new study published in the Journal of the Association for Consumer Research. Forking your food can also help you make healthier food choices overall. 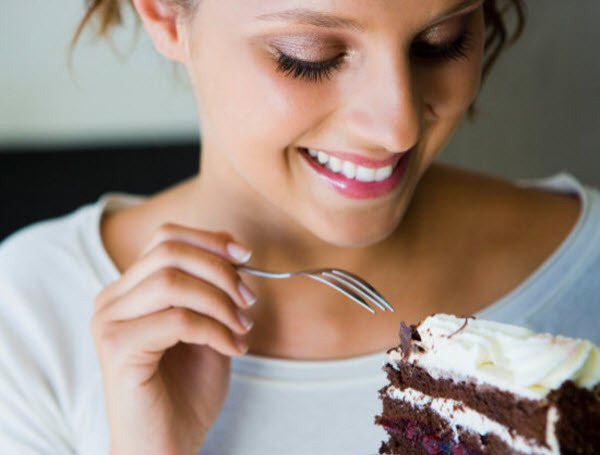 To conduct the study, researchers gave an undisclosed number of test subjects bite-sized samples of various tempting foods, such as chocolate cake, brownies and JELL-O. Some were given a spoon to eat with. Others were given a fork. The people who used spoons reported thinking what they ate was healthier than it was. They also reported wanting to eat more. The people who ate with forks consumed notably smaller portions. Bottom line: Eat with a fork and you will likely eat less, which equals fewer calories consumed. Eat with a spoon and you are at a higher risk of overeating and, by extension, gaining weight. Sounds like a heaping spoonful of common sense to us. After all, spoons have more surface area than forks, so, naturally, we are inclined to unconsciously gobble up more with them. Plus, spoons pair perfectly with lots of fatty desserts, like cake, pie and ice cream. In the wrong hands, they are a sweet disaster “weighting” to happen. Using forks over spoons is not the only healthy eating recommendation shared in the Journal. Another study detailed in its inaugural issue suggests that placing mirrors close to where you eat also contributes to weight loss. Duh. People do not like to watch themselves inhale junk food. 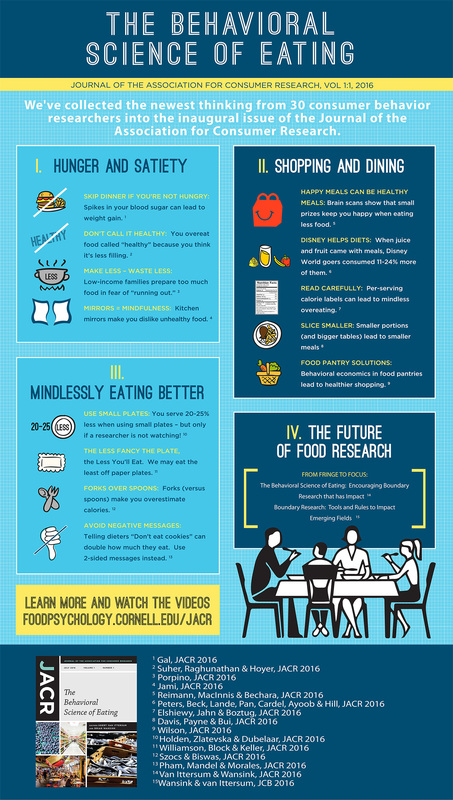 For more mindful eating tips from the new publication, check out the infographic below. It arrives just in time for your fitness goals this summer!